More than eight months before the repeal of Prohibition, President Franklin D. Roosevelt signed the Beer and Wine Revenue Act. Beginning on April 7, 1933, the new law would allow for the sale, manufacture, and transport of beer that was 4% ABV or less. Oshkosh rejoiced. Here’s the full report from the evening edition of the Oshkosh Daily Northwestern of March 22, 1933. 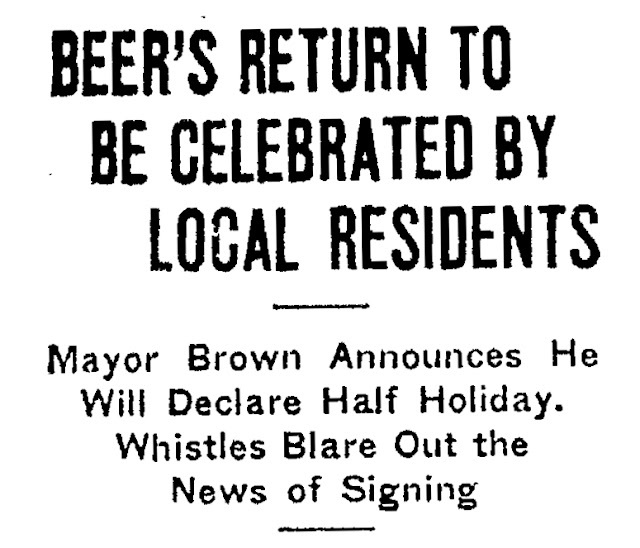 A half holiday will be declared for Oshkosh on the day that beer can again be sold legally, Mayor T.G. Brown announced today. 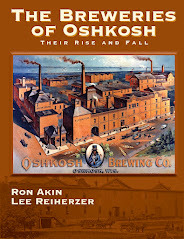 He asserted the holiday will start at 12 o'clock noon, in order that Oshkosh may celebrate the return of what he termed one of its major industries in the reopening of its breweries, of which there are three busily preparing for the great occasion. 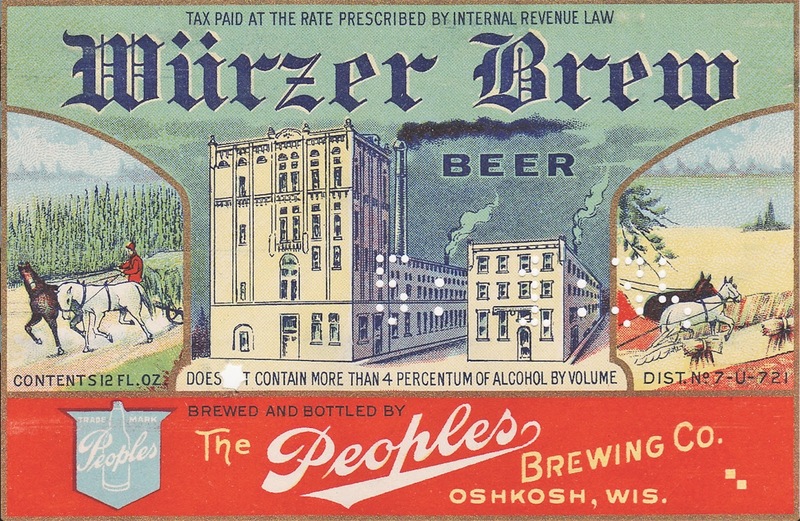 “I am calling a holiday, not only because people want good whole-some beer at a moderate price and the government needs the revenue but, because this marks the return of one of the Oshkosh major industries. "This will employ men locally, has already resulted in expenditure of money, and it, also will supply a market for the farmer’s grain in this vicinity. Thus it is a benefit not only to industry but to agriculture and will furnish, in some measure the relief to agriculture which must form a basis of any sound recovery." The mayor stated the city has under consideration regulatory local measures for the present soft drink parlors, automatically to become "taverns." He said he is under the impression the state will give considerable leeway to the local governments in this matter. The city executive obtained actual facts and figures from the local breweries as to the effect of the change in law upon their operations. The Peoples Brewing company, he said, informed him 20 to 25 men will be hired, 40,000 to 50,000 bushels of barley will be consumed in a year, and about $40,000 already has been expended for new equipment. The Oshkosh Brewing company reported it will hire 50 to 75 men has expended between $30,000 and $40,000 for new equipment. The Oshkosh Brewing company reported it will hire 50 to 75 men, has expended between $30,000 and $40,000 on new equipment, and will use 60,000 to 80,000 bushels of grain. The Rahr Brewing company will hire 12 to 15 men and. will use nearly 50,000 bushels of grain a year, they have estimated. They are expending $25,000 in new equipment. 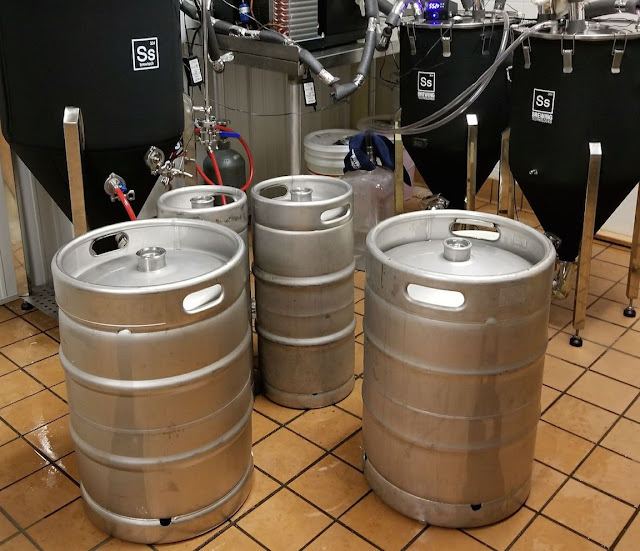 Oshkosh brewery and factory whistles expended several thousand pounds of steam in announcing that legal beer will be available within 15 days. News of the signing of the beer bill was received by The Northwestern at 1:03 p.m. and the message was promptly relayed. March 21, 1894. That was the last time Oshkosh had four breweries. Today, there are four breweries here again. HighHolder Brewing Company of Oshkosh, Wisconsin is up and running. HighHolder brews have made a couple of previous, albeit brief appearances recently, but this past weekend the beer became more widely available. On Friday, HighHolder’s Bloody Sixth Irish Red Ale went on tap at both O'Marro's Public House and The Roxy. After a name change, a muddle of lawyers, and a tangle of permitting issues, HighHolder received the final piece of its licensing puzzle in February. 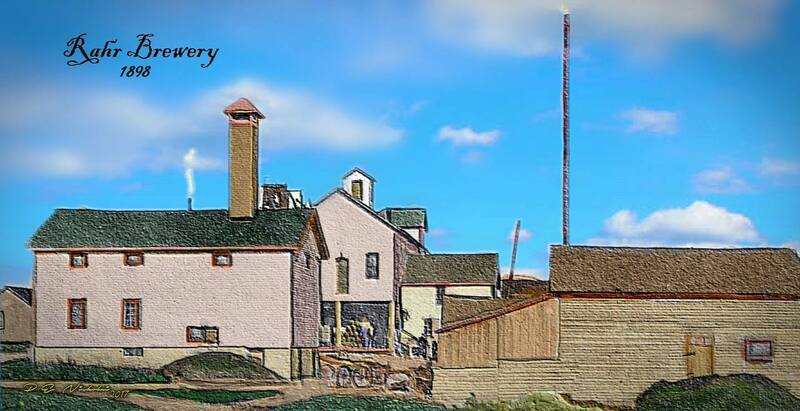 The brewery is located in the suite behind O'Marro's at 2211 Oregon Street in the Lake Aire Center. 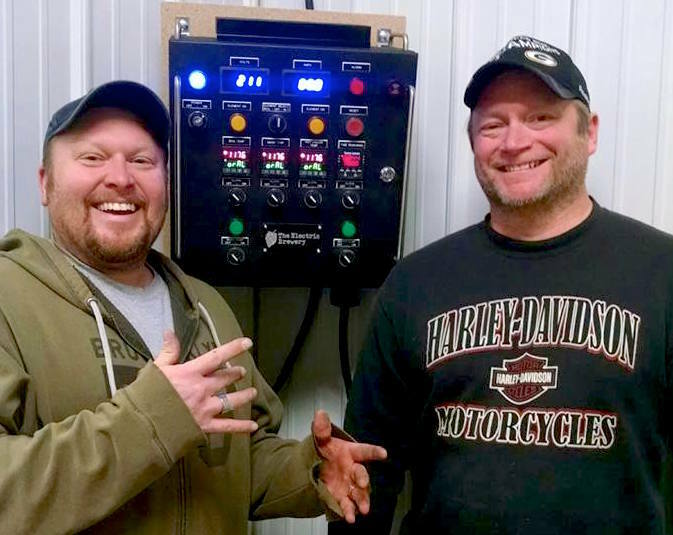 HighHolder becomes Oshkosh's first nano-brewery. 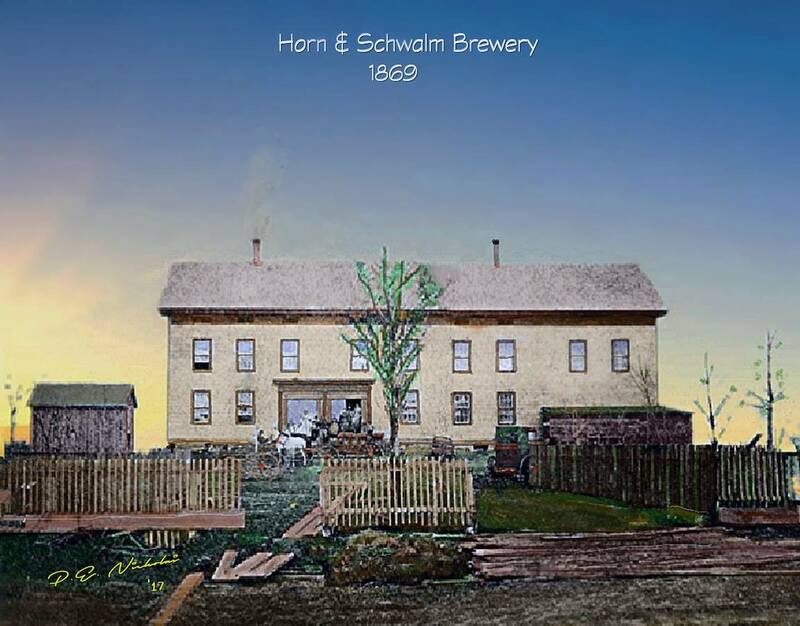 Schlosser designed and built the brewery’s one-barrel system. "What we’re trying to do is proof of concept,” says O'Marro. "If this works out the way we think it will, then we’ll take it the next level." For now, O'Marro's Public House is your best bet for finding HighHolder beer. The next beer up will be a German Altbier. 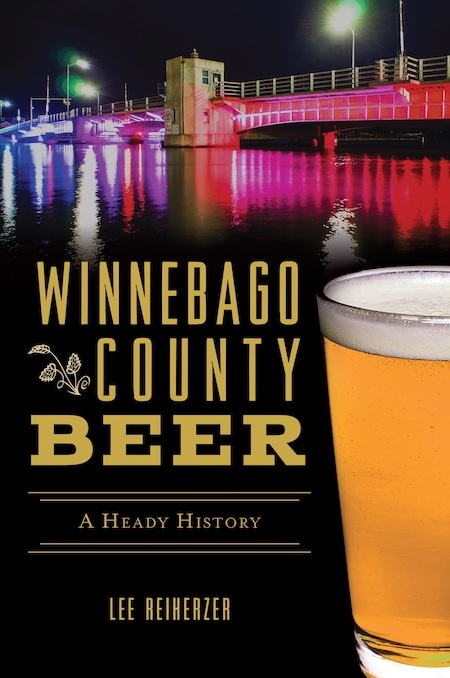 Once the brewery settles into a consistent production schedule, its beers will likely begin pouring in other Oshkosh area bars. Don’t wait for that. Get it now! 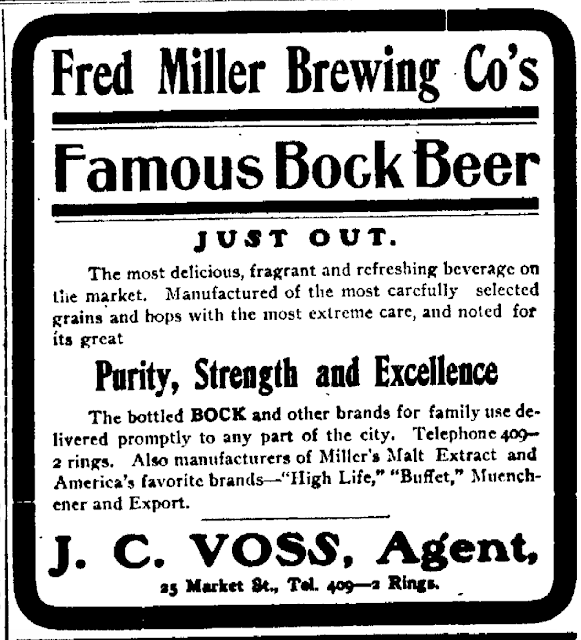 The Miller bottling plant was near the SW corner of Market and Pearl Streets; about where City Center now is. J.C. Voss was elected mayor of Oshkosh in 1909. 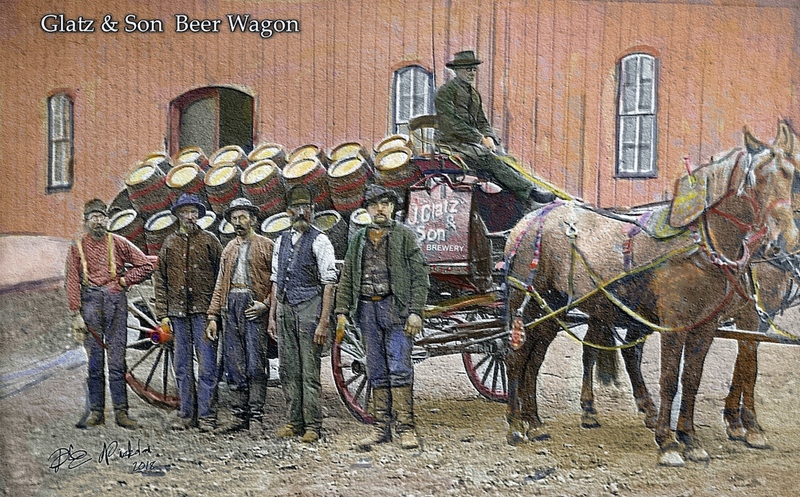 Here’s more from Oshkosh artist Paul Nickolai, who has taken a series of vintage Oshkosh brewery photos and added new life to them. This is the second installment of photos. The first can be seen here. Let’s get on with this. Here’s the Rahr Brewing Company of Oshkosh at the turn of the century. And here’s the Rahr brewery some 40 years later. Demolition of this brewery began in 1964. 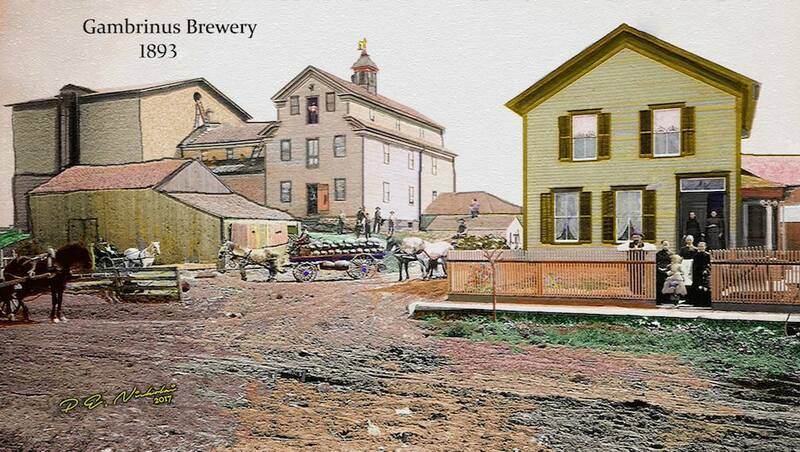 Long gone is the old Gambrinus Brewery that once towered over Harney Avenue. It was torn down in 1914. This next one goes back even further. The original Horn & Schwalm Brooklyn Brewery was built on Doty Street in 1865. It was destroyed by fire in 1879. 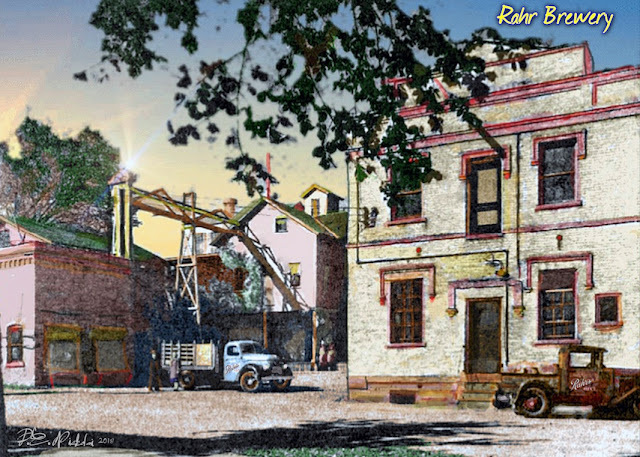 Further south was the Glatz Brewery at the end of Doty Street. Glatz Park is there now. Here’s the Glatz staff with one of the brewery’s beer rolls. 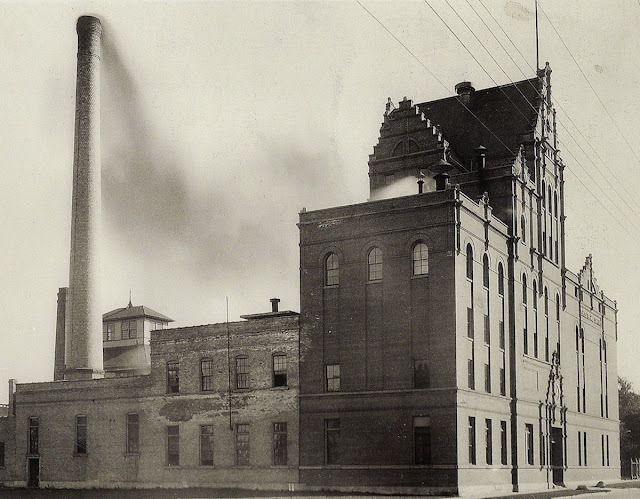 The Glatz Brewery was taken down in 1915. That’s all for this time. But there’s more to come. Thanks, Paul!